As someone who is paid to reflect and communicate about health, I can’t get stuck in the same intellectual patterns. I MUST innovate my way out of the hole. No, I love food too much. Yes, as soon as I change jobs. No, because I tried and failed. Yes, but it will be painful. We get stuck in a black and white – yes or no – type of thinking that leaves us closed to possibilities. 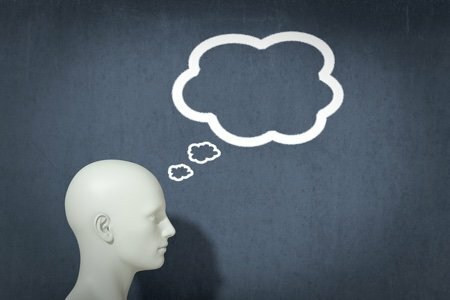 If I asked you to reframe the question to: “How can I lose weight?” -or even better: “How can I get healthy?” What starts to happen in your thinking? Try one of Snack Girl’s recipes this week. Take a walk with my buddy instead of eating lunch out. Get more sleep so I don’t overeat to keep my energy up. Finally shop at that new farmer’s market to stock up my fridge with fruits and veggies. The possibilities are endless! We all have these patterns of thinking that we developed in our childhoods. These patterns get in the way of our health and ultimately our overall well being. As I stood there in the gray airport on a dark morning with weary travellers, I couldn’t come up with anything. Hmmmmmmm…..
Then, I started looking at shoes. You will not believe how many different types of shoes you see in the security line – sandals, hiking boots, sneakers, high heels and flip-flops (who wears flip-flops when they aren’t at the pool?). Ha! Starting to enjoy myself! As I was waiting for the inevitable delay, a wheelchair with a man in a turban – the spitting image of Osama bin Laden – was brought to the front of the line. “What is going to happen now?” I thought. The security guards asked him to walk through the metal detectors multiple times and he just looked at them. Then, since he couldn’t walk – they told him that he was going to undergo a background check – as they drove him around the screeners. That is when I became sad that a sick, old man was being treated like a terrorist because of our violent past and his appearance. I made it to the other side and was much more reflective than annoyed by the inconvenience of taking off my shoes, removing my laptop from its case, and standing in line. I had almost forgotten I was in my most hated area of the airport. Today is the last day to sign up for the Snack Girl’s Jackpot Challenge – Over 35 people are competing – Join us! Please share how you can become healthy or how you can lose weight. Drink more water... (I hate the taste so that's a big one for me). Lack of logic annoys me more than anything. Having to take our shoes off at the airport, when 3 people an hour are killed by guns in this country (and nothing is done about it), makes me want to blow a gasket. But instead, I joined Mom's Demand Action for Gun Sense in America so that I have a useful channel for my frustration. While standing in the long line triggered by the insanity of the stupid shoe rule, I recommend the Mom's Demand Action for Gun Sense, hoping to awaken one more person to the insanity of gun violence in our country. (Members had to change times and locations of meetings due to the threats by gun toting bullies fearful of our power to change minds, so looks like it is working). Anyway, stewing over a frustration usually leads people to engage in unhealthy choices, but taking action uses that frustration to eliminate the problem and block those unhealthy choices. Such encouraging & motivating words, Sue Clatk! I need to get off my booty & be proactive! Thank you! Ann- How can you not like water - pure clean fresh water has no taste! My friend is the same - but she puts flavouring in it and does a little better now. Love the aspect of looking at the situation and turning it around. Frankly, the process is empowering. As much as we think we are "stuck” with our thoughts or situations, as you noted, we have a choice. It depends on what you want. It’s also a great example to set for children or anyone for that matter. It’s an option and not always easy. In regards to the water- I down it with a mini-chocolate chip. I chew it first then it goes down with the water giving a small bit of flavor to it. Most people I know love chocolate; the more cacao the better! ☺ Hope it helps! I need serious advise...hope someone can help me. I have MS so exercise is a problem. I can still walk around my house because there are always things to grab onto if I start to lose my balance. I have always been slightly over weight my whole life but nothing like now. I religiously eat 1200 calories per day entering it on FITDAY, but do have maybe a day or two a month when I lose my control and either eat several deserts a day or go out to eat and order anything that suits my fancy. I will lose 5 lbs after weeks of dieting only to wake up one morning and it's all back. So things never seem to change. I have been on a diet my whole life , from Adkins to weight watchers, some successes in the past but it always comes back. Now I can't lose anything anymore even when I go below 1000 calories a day. I should sign this "63 and Sick of it"
Even though you are watching what you eat, you might be eating things high in sodium. WW usualy works but the minute you get off of it the weight comes right back on pretty quick. Check online there are probably a lot of sitting exercises you can do. I myself am going to check because I have a back and hip issue so I'm thinking if I can exercise in the chair it might help keep some muscle tone and burn calories. Lol, Flip Flops are CA's state shoe. I personally hate flip flops I don't like the little thing in between my toe. it hurts. I only wear flip flops if I'm getting a pedicure. When it comes to water, I like adding fruit to it. Unless I'm out and about then I'll add the little water flavorings, but just a little. You just want a slightly different taste to the water you don't want your water to taste like kool-aid. At the airport: get on the Pre-TSA check list! You don't have to take off your shoes, and they care less about having your liquids in a quart-size baggy. I like to imagine where everyone is traveling. Losing weight: trying to find my motivation and control again. the new mantra at Weight Watchers is "what's your why?" Mine should be pretty motivating: look good at my wedding! But in the meantime, i want to fit into my pants again, and find exercise buddies! Nicely said, Snack Girl! How is a very useful question. This reminds me of my husband, a math teacher. When kids would whine, "I just don't get it!" He'd correct them: "You don't get it YET." Just because someone hasn't found her way to weight loss yet doesn't mean that she won't find it. When we learn a new skill or sport, we don't expect to be instant experts, right? Weight loss is no different. Another tactic I do is telling myself that I GET to workout. I GET to choose what to eat. Seeing it as a privilege helps me remember how lucky I am to have the choices. This is for Debi - Look on your tv to see if there is a program called SIT AND BE FIT. These exercises are done sitting down. Look on youtube for exercises done sitting down, or look on the internet. Any diet program works until you go off of it. BUT, WW is not a diet, its a lifestyle. Whats a lifestyle? Something you do the rest of your life. You cannot go back to your old eating habits. You need to write down everything that goes into your mouth, because most of us forget what we have eaten. And most of us will take that whole bag of chips, popcorn, etc and eat the whole thing without even realizing what we are doing. Thanks ladies for the tips on the seated exercises..no SIT AND BE FIT around here , unfortunately. I do have arm weights and excercise bands I use and a floor cycle to be used in front of a chair that I use... They seem to help keep me in shape but don't seem to spur any weight loss. I guess I must just keep on trying..I think it must have something to do with age?? I've never ever had this problem before. I had been on online weight watchers for I year, along with the FITDAY program and Skinny mom, and snack girl...for several years so it's not for a lack of trying. My doc says my blood sugar, etc. is all normal. I don't eat chips, popcorn, candy, etc., my weakness is sugar free Klondike bars, and just occasionally a snack cake...I eat too much fruit I suppose (sometimes a serving at each meal) an orange, an apple, blueberries or watermelon...NATURAL sugar!! Ugh!! Oh well thanks for the tips and for listening...I'll keep trying. Debi, can you do water exercises? Aqua-aerobics classes vary, including some for arthritis that might work. Tai chi is also gentle, and much can be done while seater. DVDs are available. Look for those by Dr. Paul Lam. Good luck to you. Thank you Snacķ Girl for your positive approach to encourage and motivate! For us with menopots its easy to think this is your new "normal", That the 15 lbs you gained overnight you are stuck with, at 52 its as good as it gets. Plus I lost my husband 7 months ago after almost 34 yrs of marriage and chocòlate has become my BFF. I NEED TO get healthy again...I know it would help my body to heal giving it the proper fuel ! Its too late to join officially however Im gonna join all of you and post my progress and encouragement for all of you here as we journey together! Good bye xtra pounds!! Hello my healthy new friends! Oh and §nack Gìrl I LOVE YOUR BOOK!! Laurie, you are right...WW is not a diet but a life style change. It teaches portion size and how to make healthy choices. If I could only keep that embedded in my brain. Thankyou Mary!!!! Will look for some of those DVDs...yes I have done water aerobics with a pool membership. Maybe try that again too! Hi Pat. So sorry about the MS DX: it can be a devastating diagnosis, but you seem to have a really good attitude about it. As a counselor, I have worked with MS patients over the years. It is challenging to lose weight with the symptoms that come with MS. I know that weight loss surgery is a big decision, but many physicians have told me that it is about the only successful solution at a certain stage of person's life. I counsel people as they evaluate the pros and cons, I counsel them after they have made that decision, I counsel them as they prepare for surgery and after surgery. Almost 100 percent of the time, the patient's only regret is that they didn't have the surgery decades earlier. It isn't for everyone, and there are various options regarding the type of surgery, but it is certainly something to consider. I am big on getting several opinions and doing a great deal of research before making a big decision like that, but it has made a big difference in the lives of many people. Most insurance approves it now because it prevents many chronic diseases that are expensive to treat. Best of luck: your openness is appreciated by the many who have similar feelings. It is the bravest of the brave who lay it all out there. This is for Ann - I get bored with plain water all the time too. That's when I found Starbucks Refreshers in the coffee aisle. There are 4 or 5 different flavors like strawberry lemonade, orange and berry hibiscus. They are powdered and you just add to water. I dilute them more than the instructions say and the flavor is still good and a nice change from plain water. Walmart has them the cheapest that I've found. They also have a little caffeine but not much, and diluting them cuts down the sugar a bit too even though the sugar isn't too bad anyway. Hope this suggestion helps! I really need help with the mental aspect of losing weight. I started my weight lose journey alittle of 2 years ago. I joined WW. Within in 9 months I lost 50 pounds. I was elated!! Since then, I have lost 13 pounds and it has taken me 16 months. It is coming off in flakes. I have increased my exercised daily and I still am following the plan but I just don't lose. I still have 30 pounds to go. I really try to look at the positive which is I haven't gained any back. I am learning to eat healthy this way and that is a real process but it would still be nice to reach 70 pounds within the next few months. I keep telling my self that it is only 7 pounds but I still can't lose it. Frustrating!!! I'm currently on Weight Watchers and am also going to the gym. The plan wants you to eat well and wokrout; it's just putting it into straight on terms so people know what they are doing. Unless you are doing something horribly wrong on the plan, you won't lose lean tissue you may lose tissue and gain the weight back on Jenny Craig﻿ (or other boxed food programs), but not Weight Watchers.